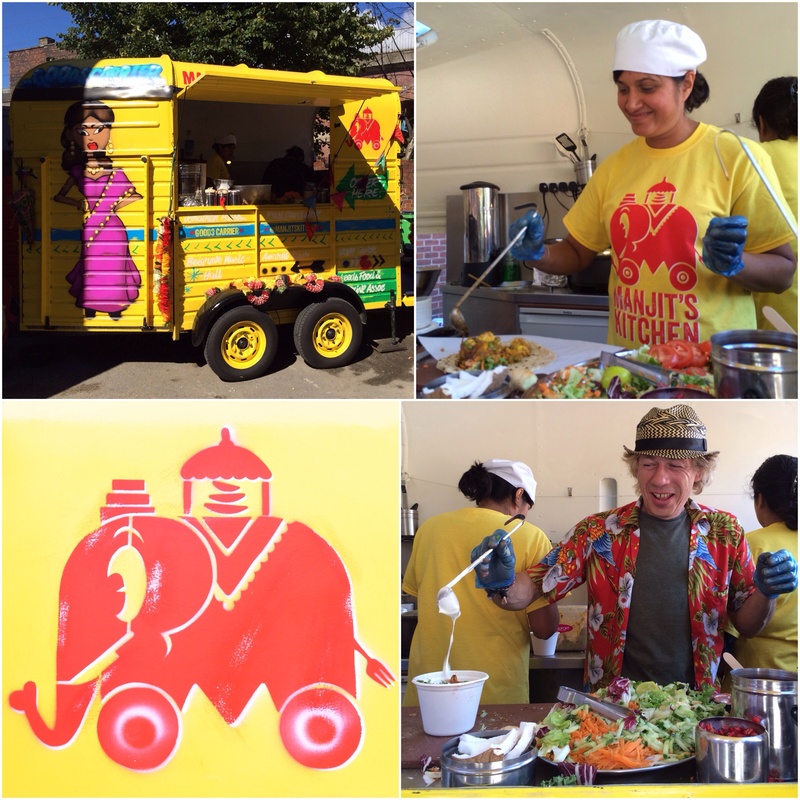 Manjit’s Kitchen Yellow Horsebox Launch Party! 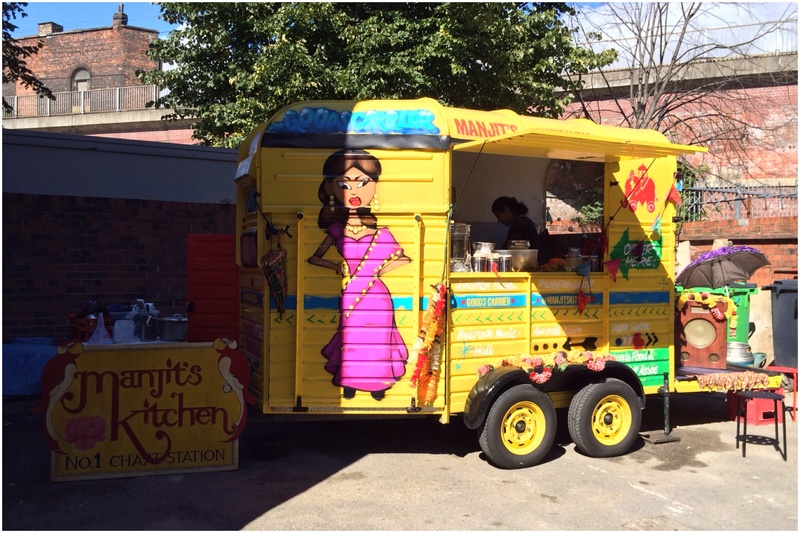 Manjit’s Kitchen had their official launch party today (31st August), to celebrate their successful crowdfunder campaign. The reasons for the campaign have been spoken about on many occasions, but if you are unaware of why click here to read what Manjit and Michael have been through. Having seen their yellow horse box being used at a number of events the last month or so, it was truly a fantastic sight seeing it in all its glory, basking in glorious sunshine on the last day of August. 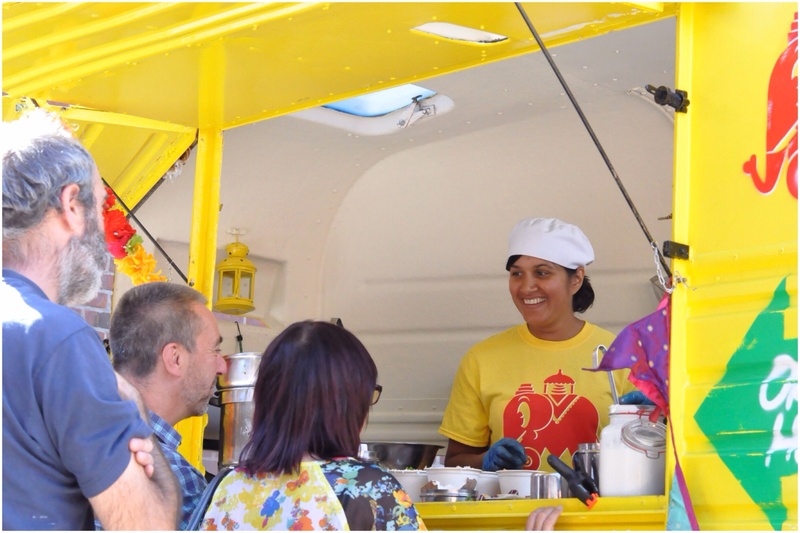 From what was an horrendous act of vandalism to Manjit and Michael’s property, they’ve managed with the support of family and friends to convert a horse box into an Indian style chaat station. The venue for the celebration was Wharf Chambers, I’d arrived whilst the sun was blazing, the horse box looked great, and to keep Manjit’s Kitchen company were two well-known fellows The Grub and Grog Shop and That Old Chestnut. Therefore plenty to get your teeth into! My friend Alice and I were gonna try and get a bit of everything from everyone if possible, so with a 3 for £10 combo from Manjit’s, it was a no brainer. We’d be fools not to indulge, going for the Watermelon chaat, Samosa Chaat and Avocado Pani Puri. The thing with Manjit’s food for me is it combines great elements together, without making me crave meat, and that’s saying something considering I’m such a hungry carnivore. The mix of textures, heat, sharpness and fresh flavours in Manjit’s food always brings people, including me back for more without fail! 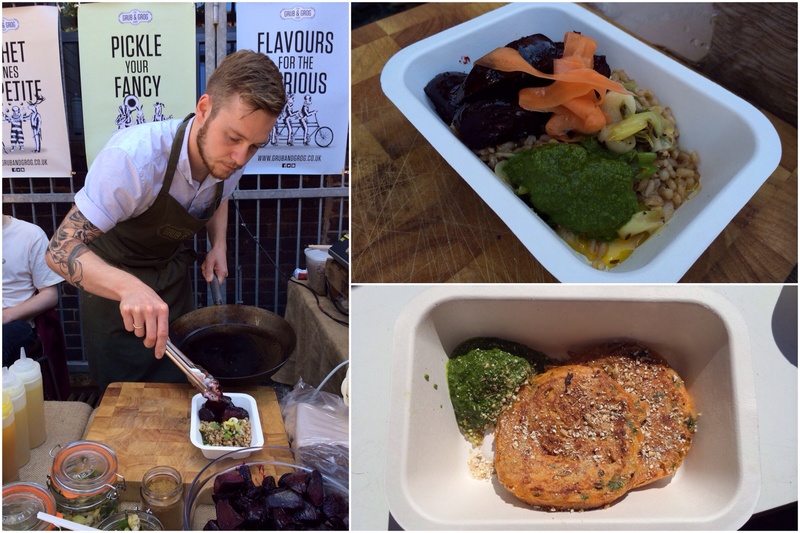 The Grub and Grog Shop had two corkers on the menu with Beetroot in stout, and Courgette & chilli fritters. Bloody gorgeous the pair of them. The beetroot lovely and sticky from the stout, whilst its sweetness was still apparent, the carrot brought the acidity and I loved the malt oil, a new one on me. When I think of malt I think Horlicks, like my dad used to drink every evening. The fritters were lovely with a good kick of chilli and more malt sprinkled on top, and the herb sauce brightened up each mouthful. So good! 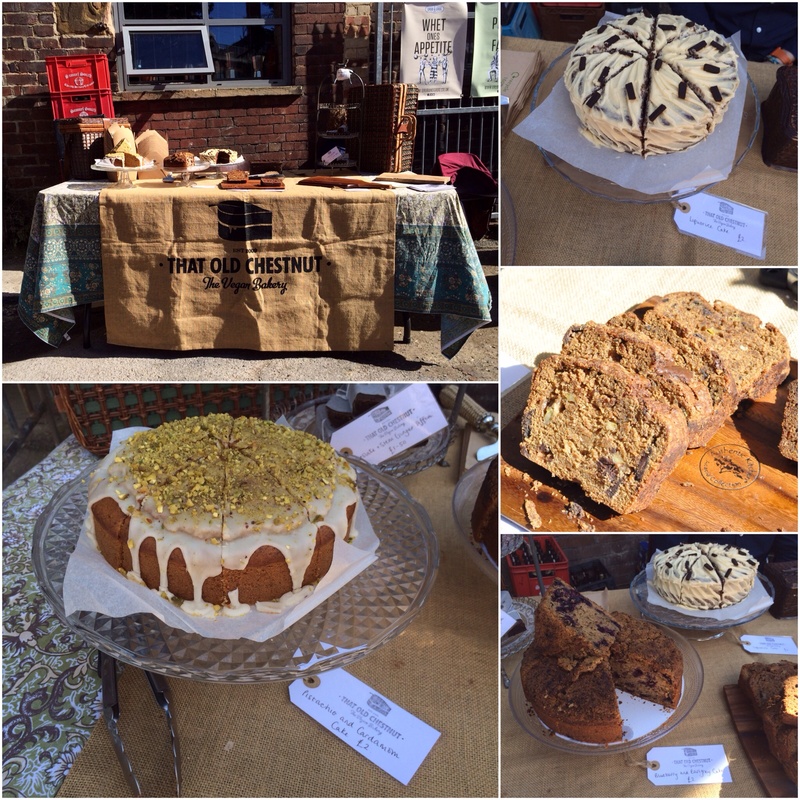 That Old Chestnut were on hand for pudding, with their selection of scrumptious cakes and my favourite of theirs – Tiffin bars! I couldn’t leave without taking the last of their Chocolate and Peanut tiffin bars. What a great afternoon spent seeing one of the original trailblazers in Leeds’ street food scene still showing the way!! Hi, something a little off track today, but hopefully still relevant to the blog. Since I started writing the blog in February 2013, I’ve juggled teaching high school science with extra curricular activities; exploring new places, revisiting old ones and dining out as much as possible along the way. This had always been a part of my life since finishing university and was always something I’d enjoyed, but without the whole sharing my thoughts and opinions on the stuff, until the blog was born. On the 1st September, quite a big thing will happen in my life, maybe not for you, but for me it is; after 14 years of teaching high school science full-time, I go part-time. The decision hasn’t been taken lightly or quickly, it’s something that has been brewing for many years and finally after much thought and discussion with the other half it was about time I did something I REALLY wanted to do. Not just do something I was supposedly good at, but something I actually had a love for. The people who know me best have heard me harking on about this for years, so it’s about time something was done about it. Having had a long think about the blog, part of the reason why I have a passion for food and especially eating out on my travels is because I love visiting different places, whether at home or abroad. I didn’t have a gap year before, or after University, so the opportunity to do the whole travelling abroad thing never arose. Becoming a high school teacher straight after five years at university means I’ve been in the education system for 34 years and counting! So from September, 5 days of hard graft change to 2 days, but I will have to manage my time to not allow school life to leak into my newly acquired free time, like it usually does. Otherwise, what’s the point! So, what am I going to do with my free time? Ah, now that’s THE question I have been trying to answer forever it seems. I don’t think I’ve ever known what I really wanted to do, or maybe it’s just fear. Who knows?! Parental thoughts of me becoming a classical musician were born from playing piano to the highest levels as a child, this wasn’t to be. My first love was and probably is art, and everything to do with the subject. It was my favourite subject at school and I was surrounded by teachers, who looking back were inspirational. This word is used a lot in education, but they were for many reasons, in particular Karl Newlands, who was my A’level Art teacher. Within that there’s always been a passion for photography, which I probably never realised in my youth. My Dad’s 35mm SLR was off limits to me, so at high school I’d often borrow an unused camera from home to take photos of my friends and I, firstly using 110mm film, then 35mm point and shoot. Throughout university and to this very day, it’s rare I don’t have a camera with me, nowadays the SLR to visually document anything and everything on my travels. So in terms of the blog, having a reduced salary means I’ll need to be more thoughtful about where I eat and the frequency at which the reviews are done. No more, just going out because I want to at a moments notice….maybe. I’ll need to be more strict with myself! Being so absorbed in A Tale of Two Sittings the last 18 months or so I’d wondered if just talking about food, which is a massive thing in my life, was all that I was about, even with the other interests and hobbies I have. I think for me it’s all about fear, being scared about what I want to do in life, will I be any good at it etc, etc…. I haven’t completely got my head around it, but content wise, I’d like to start talking more about places I visit/explore, it’s something I’ve always done in my spare time, but never anything I’ve really spoken or written about, I’ve just taken thousands of photos. I hope you’ll support me in this. I’m not sure whether to link it into A Tale of Two Sittings, or have two separate blogs. Any thoughts?? Having not done a Fine Arts degree, there’s always been something missing and the regret still exists, so with this in mind I’d really like to do something more within photography, learn as much as I can and hone my skills, do some courses and learn. What this will lead to I’m not sure…I’ve always enjoyed photographing friends weddings, travelling adventures and food so I don’t know yet. People in the past have very kindly complemented me on my photos, which has always been appreciated, so I must be doing something right. For those of you who are already doing, or know exactly what they want to do, and have a clear idea of how to get there I really admire you. I hope to get there in the future. You’ve just got to bear with me…. Way before I started this blog, the job of choosing where to eat was more often than not left to yours truly, whether it be breakfast, lunch or dinner. Even though I’ve always been happy to give suggestions, it’s always daunting being put on the spot….what if I mess up!! How would I live it down?? So, with this in mind, I thought to myself ‘where would I recommend to people go if they had 24/48 hours to eat their way through Leeds?‘ This list is just my personal opinion and has been hard to leave great places out, some may be favourites of yours already. I’ve not eaten in every single cafe/restaurant in the city so some/all you may agree/disagree with, but that’s alright whichever way. You may notice that I’m only sticking to independents, even though there are plenty of established chains, it’s great to support our independent businesses. Ok, for some reason I had to start with coffee, regular readers may know of my growing love of the drink and how I’ve enjoyed learning about it over the last year. Laynes Espresso – this highly respected independent coffee shop has a reputation which spreads far and wide! With skilled baristas making some of the best coffee in the city using Square Mile beans. Paired with knockout bakes and breakfasts it’s one of my go-to places, my favourite is a piccolo and a brioche bostock slice. 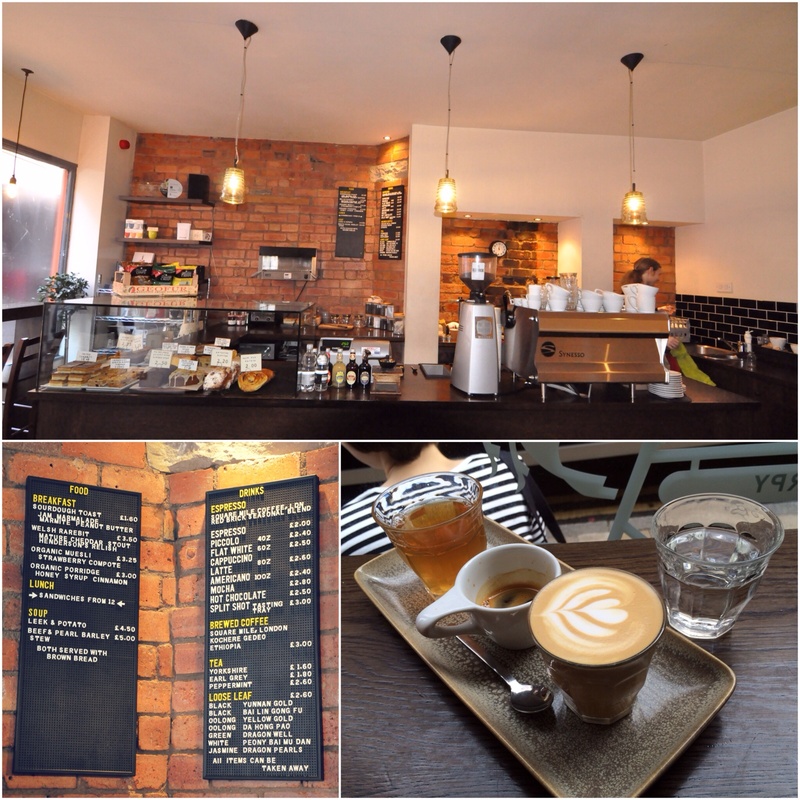 La Bottega Milanese – another favourite indie coffee spot, also one of Leeds’ originals. Now with it’s second shop open on Bond Court; larger than it’s sister shop in The light, it serves the same fantastic artisan coffee roasted by Grumpy Mule. Apart from the coffee there’s an irresistible display of traditional patisserie, panini and much more! With a space that’s asthestically pleasing on the eye too, in particular its fantastic communal table which takes centre stage. My favourite tipple here is a piccolo paired with a gorgeous custard tart. 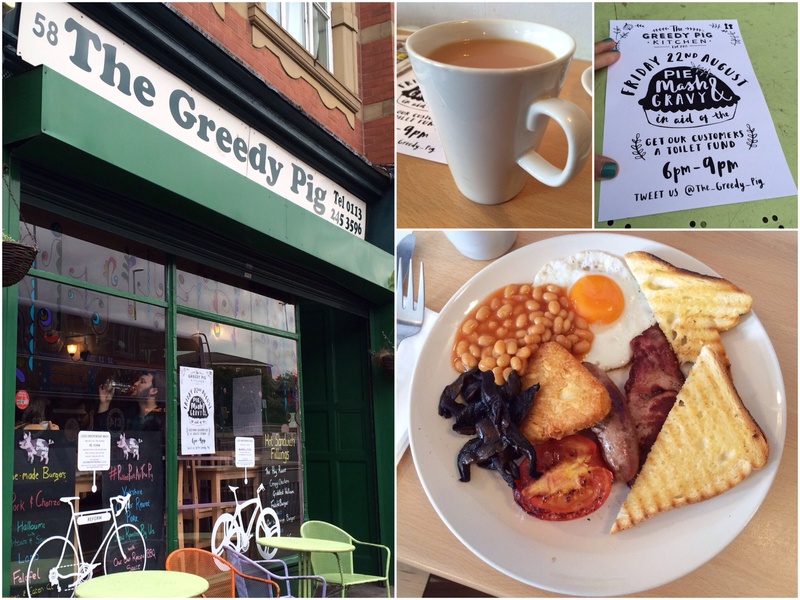 The Greedy Pig – this team definitely have to be in the category for best breakfast in Leeds. The ‘Greedy Pig Breakfast’ wins on all fronts for carnivores and for those who are not meat inclined the ‘Veggie Breakfast’ sounds appealing too with bacon making way for spiced corn bread! But what’s great is not only do they serve up awesome food, Jo and Stu who own and run the place are genuinely lovely people to boot! Hepworth’s Deli – Found in Thornton’s Arcade, just off Leeds’ main pedestrianised thoroughfare Briggate, Hepworth’s serves a deli brunch menu. 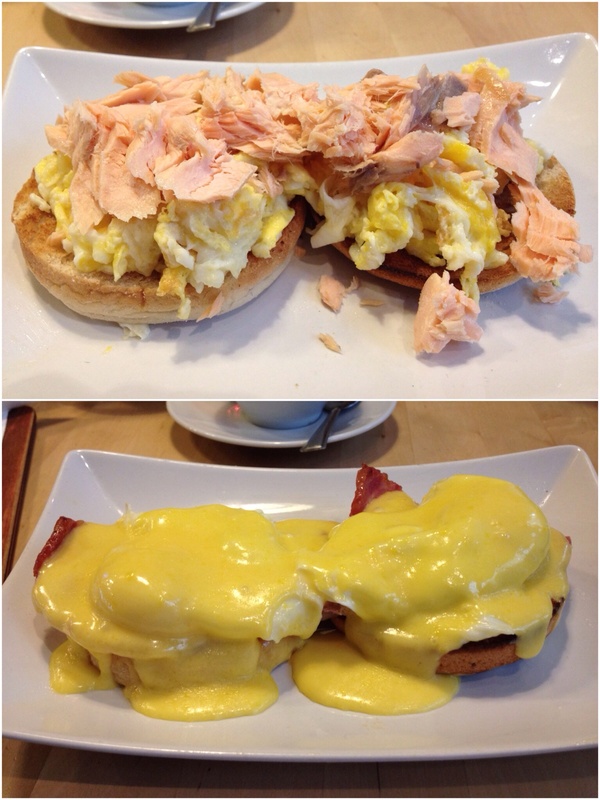 With a decent Full English and an Egg’s Benedict with bacon that’s pretty good too! This is my usual Sunday brunch choice (as The Greedy Pig are closed). Belgrave Music Hall & Canteens‘ Laynes brunch (one Sunday a month) – Carl Fleischer from Laynes Espresso heads a team full of culinary talent to bring brunch to the Leeds masses. It’s become a highly popular event since it’s inception, with dishes like Brioche French toast with caramelised banana and beetroot cured salmon with pea, feta and corn fritter on the menu, it’s inventive and pushing the brunch boundaries in the direction I am loving! 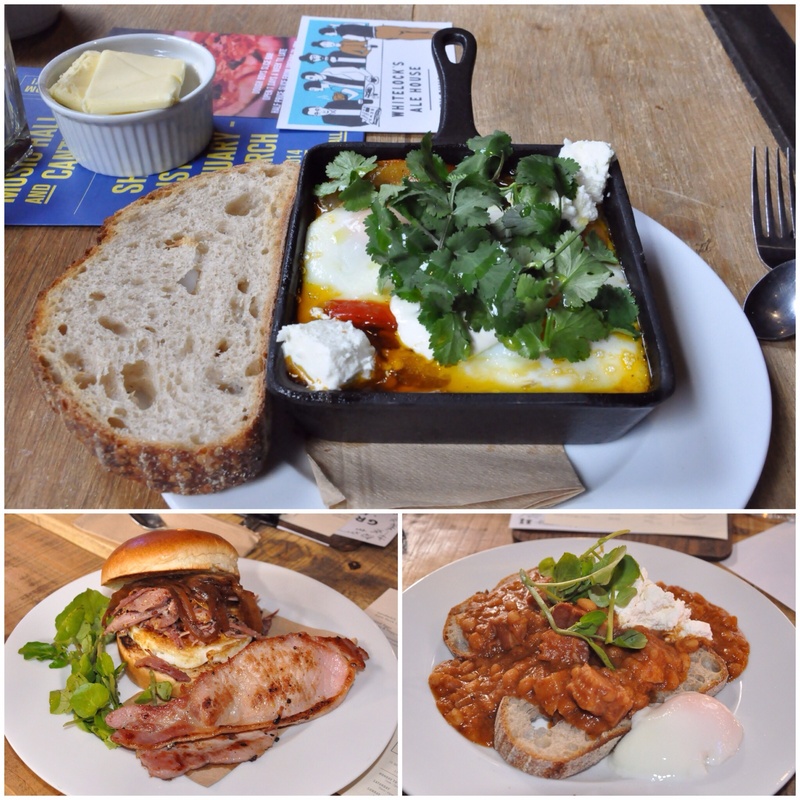 Another place great for breakfast/brunch is Mrs Athas – serves great food alongside superb coffee! NOM: newly opened Vietnamese Deli with the great street food options, such as Bánh mì, Phở and Cuốn (summer rolls), sold at great prices too, Plenty of fresh, authentic flavours on show here. 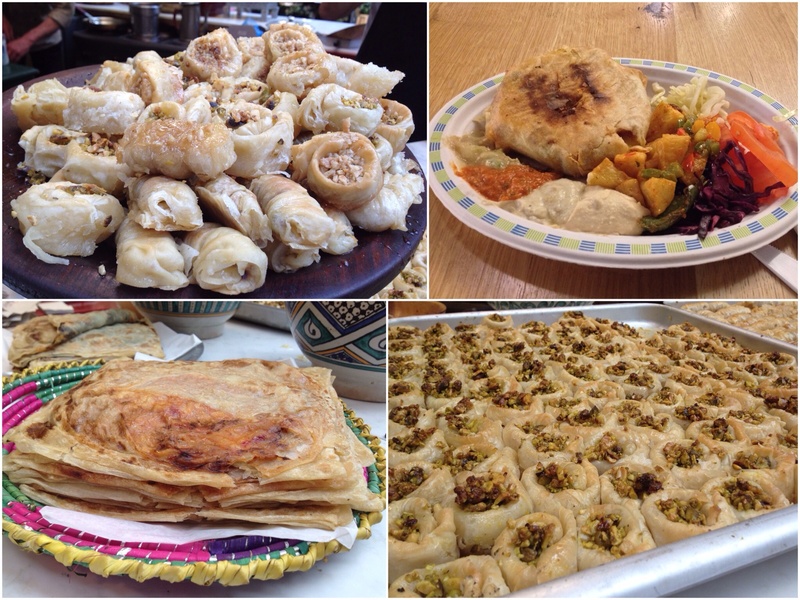 Cafe Moor – well known for their base in Kirkgate Market, there’s tasty Middle Eastern and North African street food to be had at reasonable prices. The Chicken Sharwarma is one of the most popular dishes, I must admit it is really good, but for me I always swear by the Chicken Borek! Part of the fun is getting a lovely soothing glass of mint tea while you wait. You’d also get a fab lunch at Friends of Ham, with their short, but succinct menu full of great produce. I’ve listed a number of different places, in the hope of suiting different pockets here. 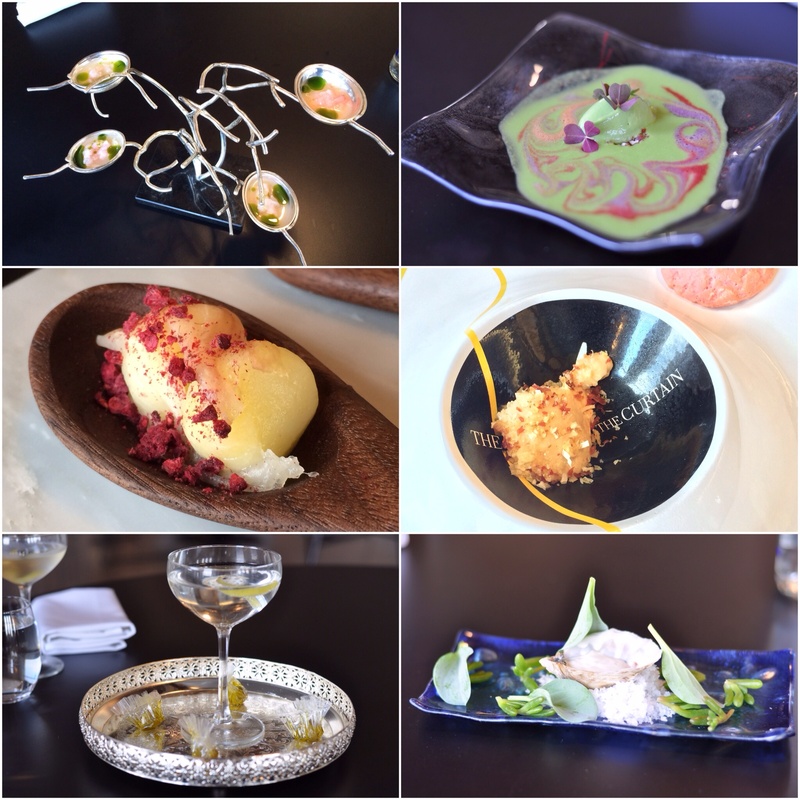 Fuji Hiro – one of my favourite places to eat in Leeds, I love this place! 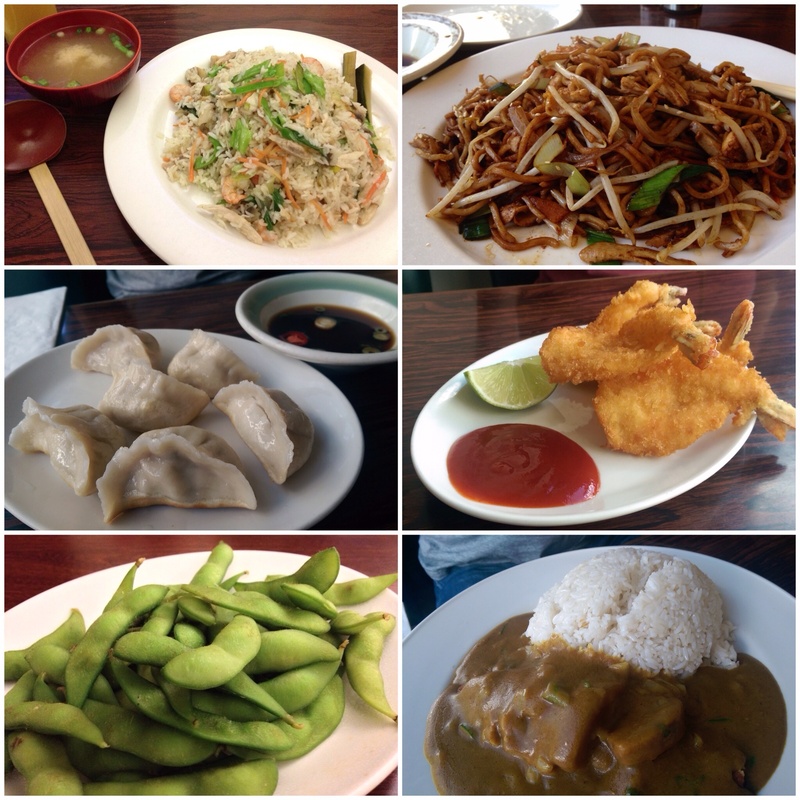 The edamame, ebi katsu and gyoza (literally to die for) and the yaki soba are my go-to dishes!! I’ve been known to drive into the city centre just to collect a takeaway, then head back out home just to get a fix of the stuff! Great value for money, their set meals are £15.95- £16.95. 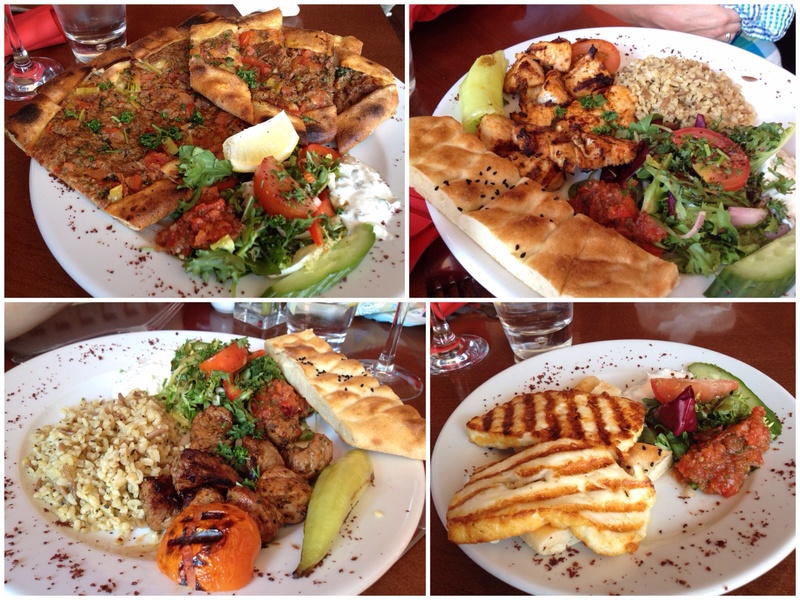 Ephesus – delicious Turkish food that always delivers in terms of price and flavours! Located in Rodley so would require a little drive out, but it’s worth it. Another great restaurant for carnivores and non-meat eaters alike, their two-course all day menu for £12.99 is a pretty good one. I love the griddled halloumi cheese and minced lamb pide, a Turkish version of pizza. 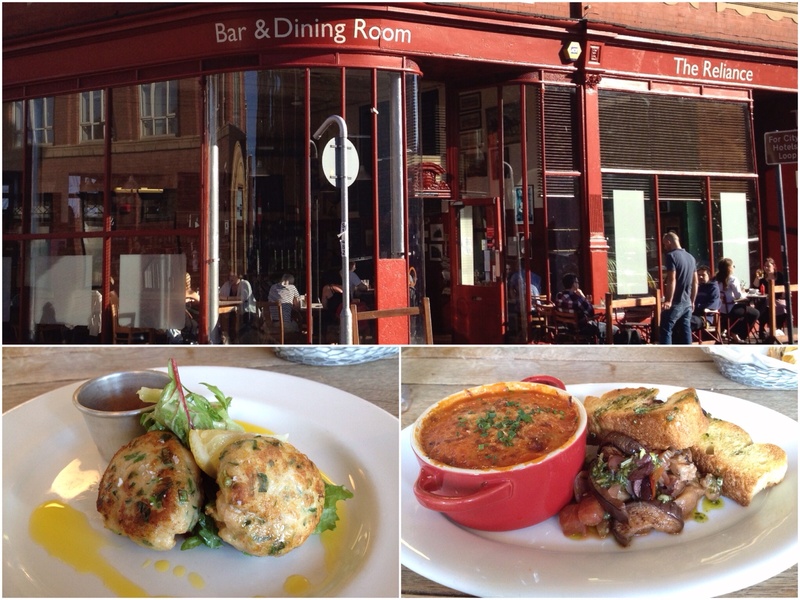 The Reliance – great spot for relaxed dining, serving up decent food in decent surroundings with lovely service. These guys have even received well-earned plaudits from much revered critic Marina O’Loughlin – ‘The Reliance is an outfit with both heart and brain engaged, exactly the sort of place I hope to find on my travels’. 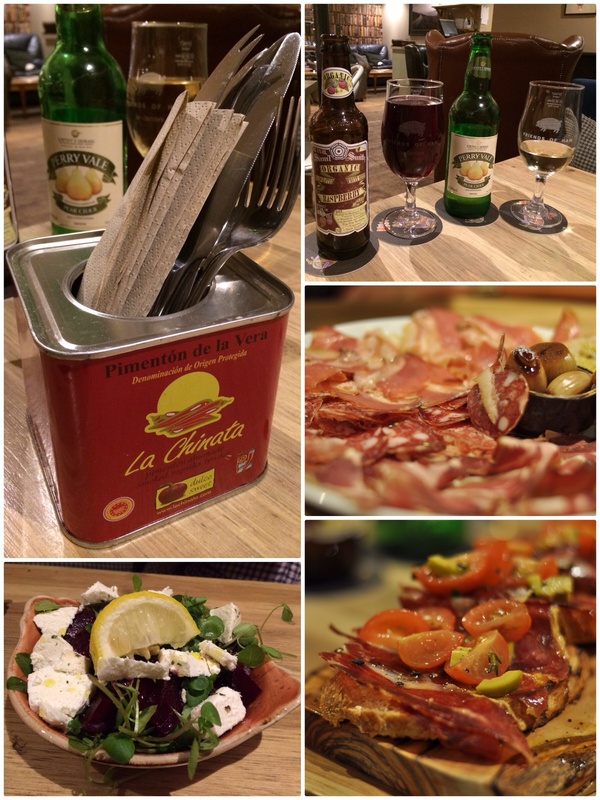 Zucco in Meanwood has found many fans with their delicious small plates of Italian food which are perfect for the sharing experience. 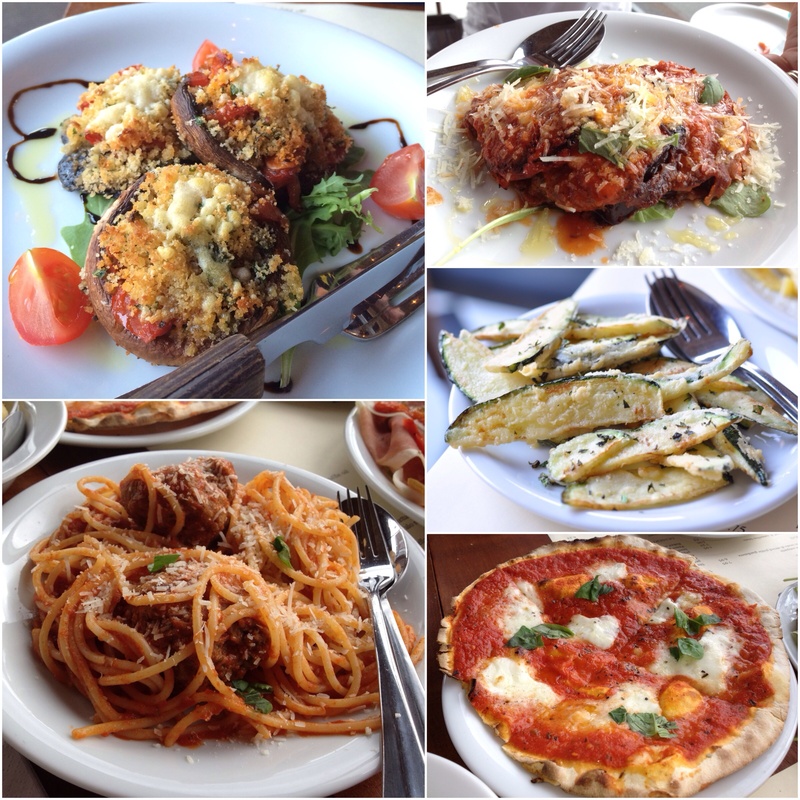 Favourite dishes include deep fried zucchini with mint, soft shell crab and braised beef pappardelle amongst others! Another notable place is The Hungry Bear in Meanwood, serving up tasty food in a pleasant dining room they also have homemade ales on offer too. The Man behind the Curtain – opened a few months ago, if you love innovation, creativity and down right tasty food, which happens to look like works of art, this could be the place for you. 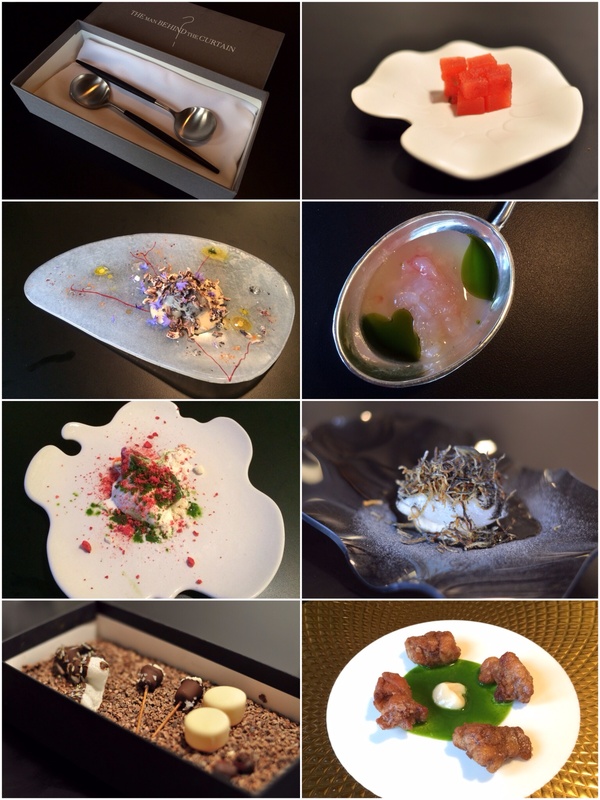 With a 12 course tasting menu, you will not be given chance to get bored with its amazing tastes and textures. A destination restaurant for a special occasion! Dinner will set you back £65 per person. 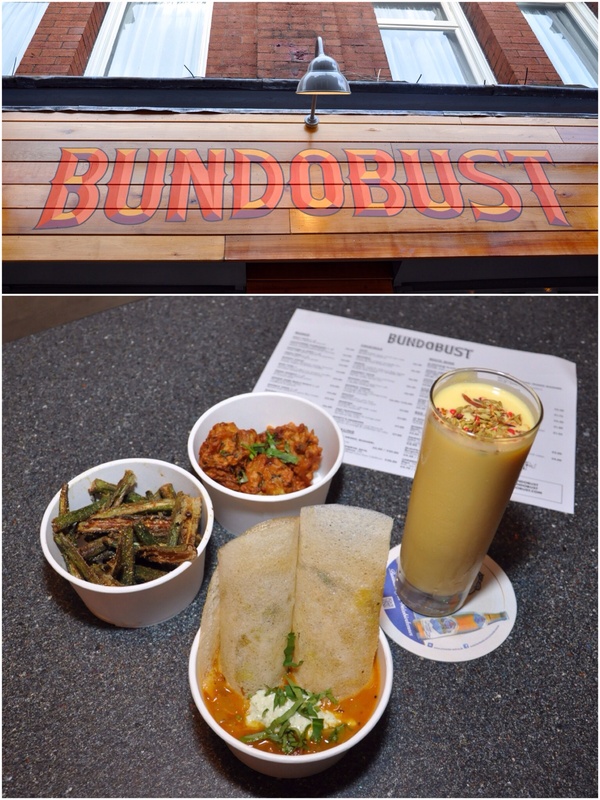 Bundobust – fantastic place to get ‘munch’ as they call it here, with a menu full of Gujarati Indian street food with craft beers and ales to match. 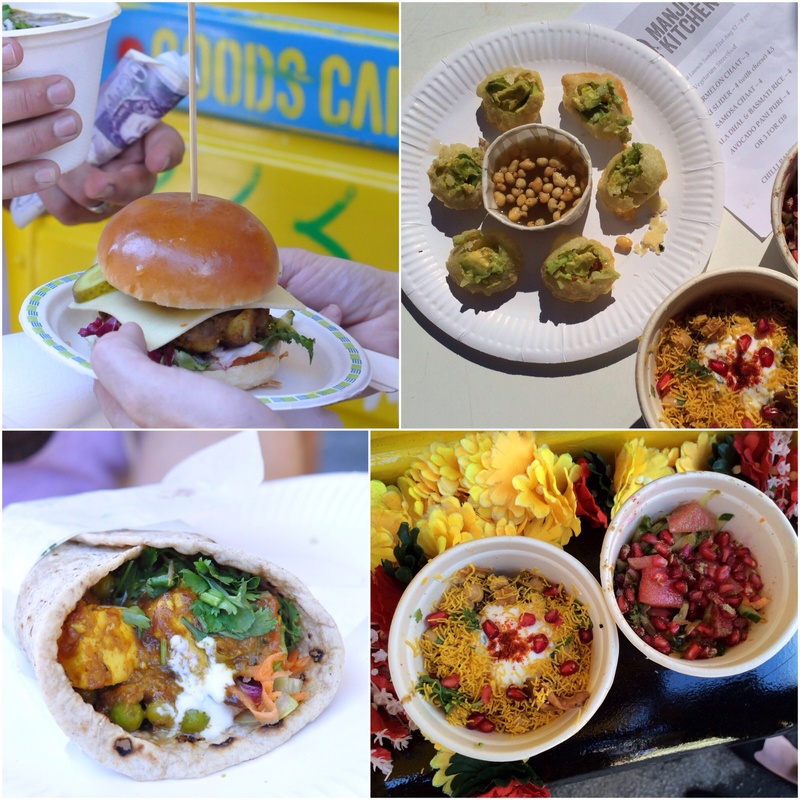 I love the bundo chaat, onion gobi bhaji bhaji and okra fries, the mango lassi always hits the spot too! Belgrave Music Hall & Canteen: Since opening in October 2013, this venue seems to have bolstered the Northern Quarter’s status as the place to spend a night out. With some of the best late night snacks to chow down on, it’s a big draw on the food front too. With Dough Boys pizza, (my favourite is the Baa No More) and Patty Smith’s Burgers. Then Fu-Schnikens selling the Gua Bao, these winners of British Street foods Northern Heat 2014) are probably my favourite of the three with their Taiwanese steamed buns! Like I said earlier, this is purely just my opinion and I could’ve added lots more. It’s probably indicative of the strength of the food and drink scene in Leeds that it’s hard to narrow a list like this down! Maybe my list will change over the next year or so, I wouldn’t be surprised if it did. Well there you go, let me know what you think, nothing harsh though please!! I wanna know your recommendations. One of my great delights in life is that first cup of coffee in the morning. The one that clears away the fuzziness of sleep and kick starts your brain for the challenges of the day. It’s joyous, it’s essential and before my trip to San Francisco, it’s usually been of the freeze dried variety. Yes, I know – the coffee connoisseurs who are reading this are probably spitting out their mouthful of single origin Columbian shouting “Heathen!” but hear me out. My day job as a teacher doesn’t give me the luxury of having time to craft that perfect cup of coffee; in fact, speed and caffeine content nearly always takes precedence over quality and taste. What’s that? “Life’s too short to drink bad coffee” you cry. Well, break time is too short to faff around with a bloody filter coffee. And that’s how I thought for a long time – until I went on holiday to San Francisco with my mate Diane, an established quality coffee fan already. Due to her thirst for great coffee, Diane had already researched some of the best spots to go to for a quality cup. 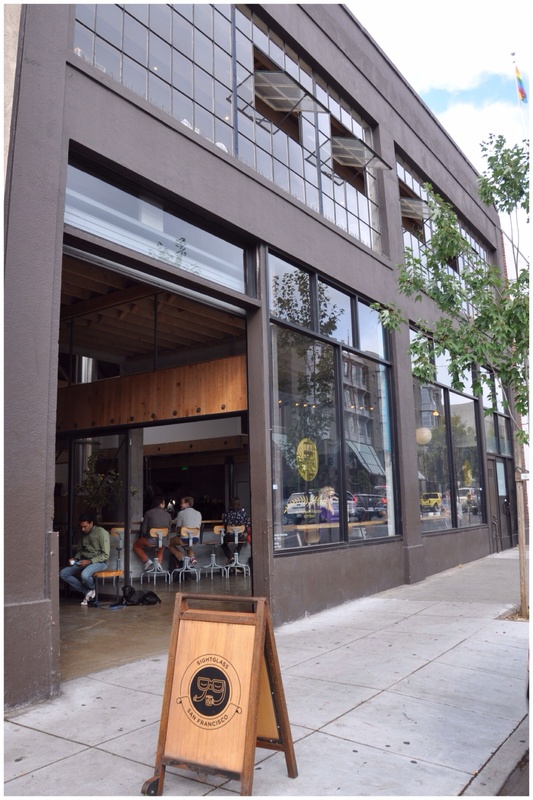 On our first full day, after successfully shaking off a spot of jet lag, we ventured out to find Sightglass in the SoMA district. One of the rules I’ve learnt about trendy shops and restaurants is that they will invariably have a minimalistic shop front (in the case of the uber-cool bakery Tartine, no name out front at all) and that will continue on into the premises, usually with lots of wood and metal, making it look more like a lumber yard than a place you’d go for a drink. And guess what? I wasn’t proved wrong. 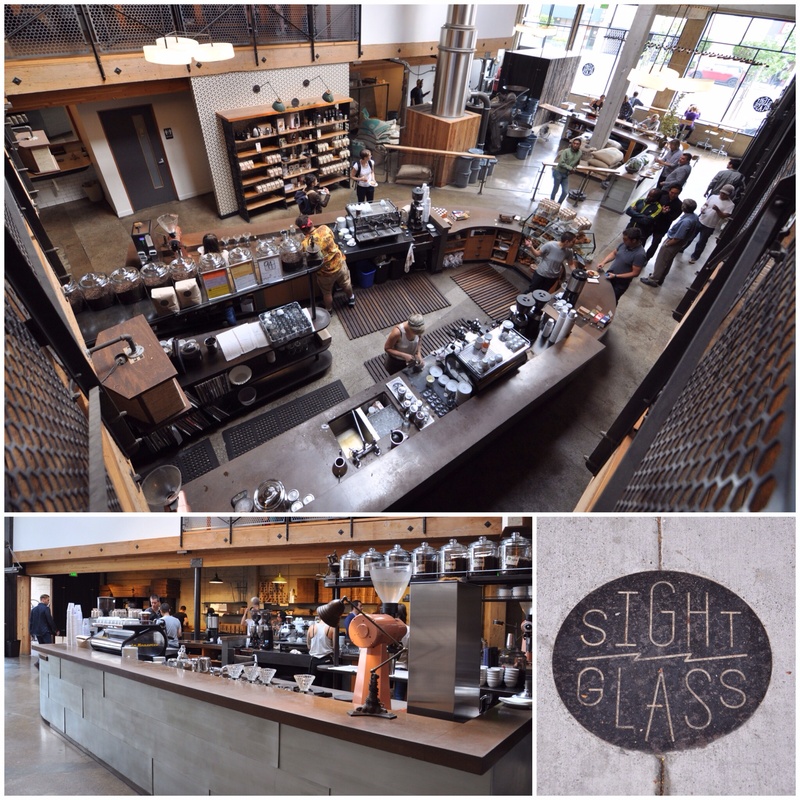 The interior of Sightglass was exactly what I’d suspected, but I did have to admit that it looked impressive, if not trying to be slightly too cool for school. Within the shop, the barista (who looked like they’d stepped out of an Urban Outfitter’s catalogue) busily prepare their orders in the open plan coffee bar, whilst heavily tattooed types don aprons and work using the beautiful roaster that dominates the eye when you walk in the store. After buying our drinks (I’d plumped with a latte – I felt in safe territory there), we walked upstairs to sit on the mezzanine level, so we could spy on the open coffee bar and also glance into the glass-fronted company headquarters, which are also located within this flagship store. The clientele was varied – ranging from typical hipster city types, to older business people and joggers who probably needed that shot of energy to carry on. Not that we’d done any jogging that morning, but anyone who’s ever been to San Francisco will know that those vertiginous hills really take it out of you. 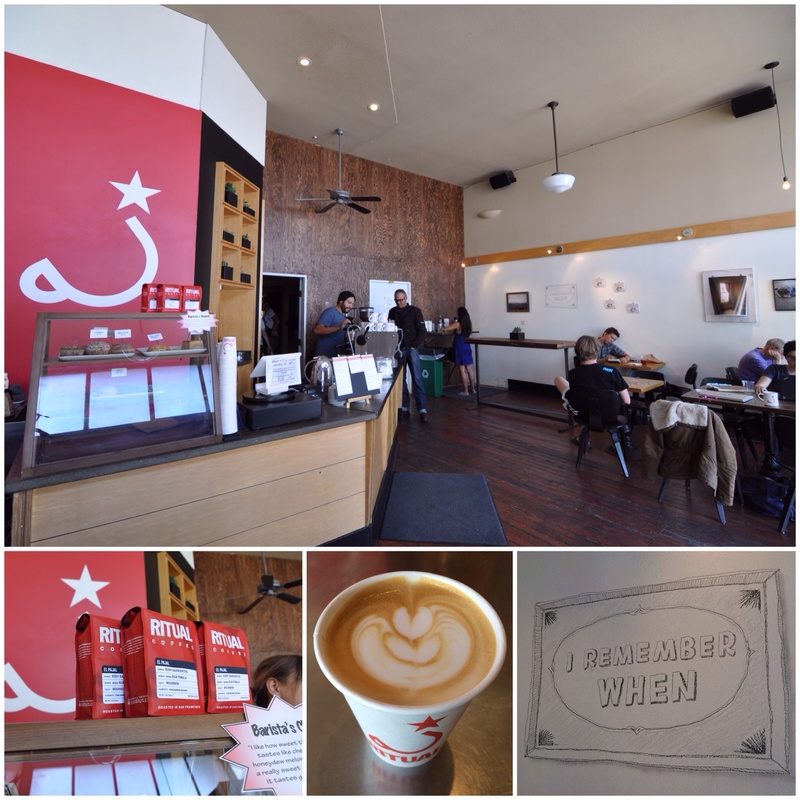 So, here I was, ready to take my first sip of SF’s finest when I made my rookie mistake – I added sugar. Diane isn’t necessarily a violent person but if looks could kill, I’d be pushing up daisies. I was told, in no uncertain terms, that adding sugar is a big no-no, that it wouldn’t need any and I should try it before I add. Scowling inwardly, I took her advice and, lo and behold, she was right. Maybe I’m too used to the over processed bitter beans of Costa and Starbucks, but since drinking very good quality coffee, I can taste a natural sweetness that doesn’t need any additional help. I’d made my latte too sweet and I vowed (rather begrudgingly) to avoid sugar in coffee for the rest of the trip. After about twenty minutes of gazing down at the barista, who seemed to have got tapping milk jugs and creating fern shapes in frothed milk down to a fine art, we moved along, leaving customers ready to jump in our places, attesting to the popularity of the place. 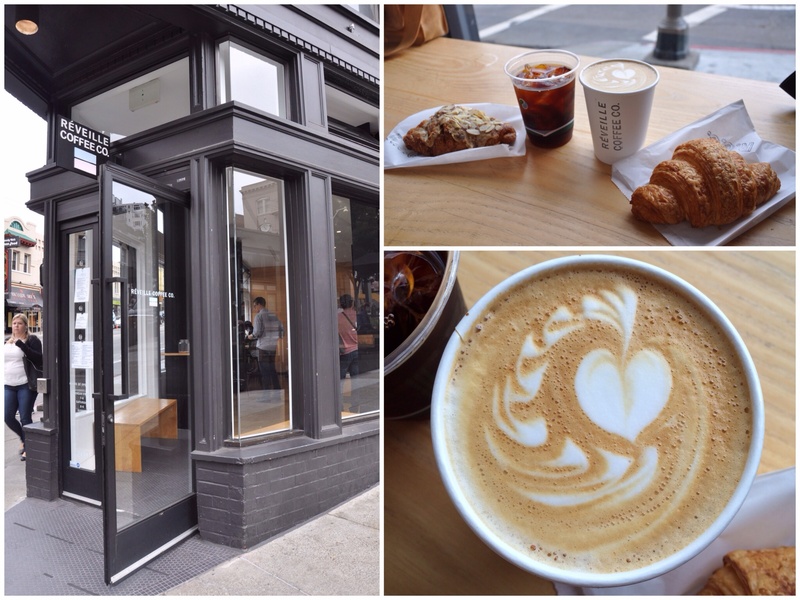 Similar to the popularity of Sightglass, we had heard great things about a shop/micro-roaster called Ritual Coffee in The Mission, so we went for a visit, and after a few wrong turns and relying on my dodgy Google Maps on my phone, we found it. Unfortunately for us, the shop was undergoing refurbishment, so only the front part of the store was visible. The staff were very friendly though and parking ourselves in a lovely window seat, I decided to break free of my latte chains and go for something slightly more adventurous. I opted for an espresso and it was delicious; rich, complex but remarkably easy to drink. What seems to give coffee shops the edge seems to be the way the beans are ground. Diane had drawn my attention to the EK-43 grinder in coffee all of the shops, and told me that if the beans are ground vertically, instead of the traditional horizontal grinding plates, the end product is supposedly more defined and has greater clarity. In Leeds, I’m aware that Mrs Athas has one of these machines (expensive kit but you can really taste the results) but it seems de rigueur in the San Francisco coffee circles. It was also in this shop that I learnt a whole new vocabulary surrounding the brewing and filtering of coffee. On the shelves were an array of strange apparatus – Chemex, which looked like props from Breaking Bad, V60s, AeroPress, Moka pots and other espresso kettles. Apart from my cafetiere (which I like to say in a thick French accent), I’d only seen the espresso kettle and never in my life heard of a V60 – it sounds like a cream you’d get to clear a case of thrush. I also learnt that they did a cold brew and decided that, in our next coffee shop, that’s what I’d go for. 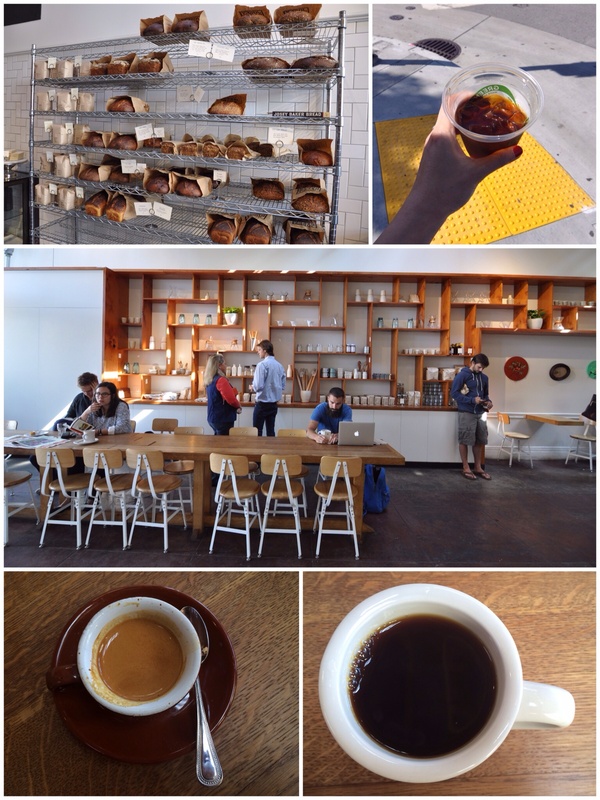 So on to Réveille Coffee Co. in North Beach, which we actually visited twice during our stay. Our first visit was in the morning, and seeing the freshly baked croissants was too much for our hungry stomachs, so I had a delicious, moist almond croissant whilst Diane went for the classic all-butter version. I also decided to have a cold brew, as I wanted to see how different it was to the idea of an iced coffee that I had already experienced and not really enjoyed in the UK. The difference was marked. Iced coffee is brewed hot and then chilled by pouring over or adding ice, whereas a cold brew is basically ground coffee which is steeped in room temperature or cold water for around 12 hours. It was hugely refreshing and bright, yet still gave that lovely coffee kick. The taste wasn’t strong but actually really smoothy and fruity – it was as if the temperature really brought out the flavour of the beans. The second time we came here we both had a latte and I, learning from my mistakes, left the sugar out and, after a week of this, didn’t miss it at all. 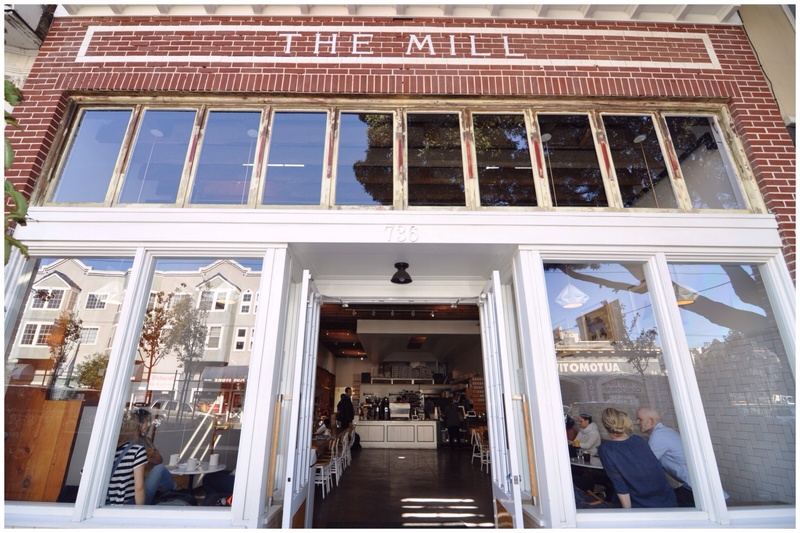 We also visited The Mill on Divisadero St twice as well; a great coffee shop that was bustling each time we went in. 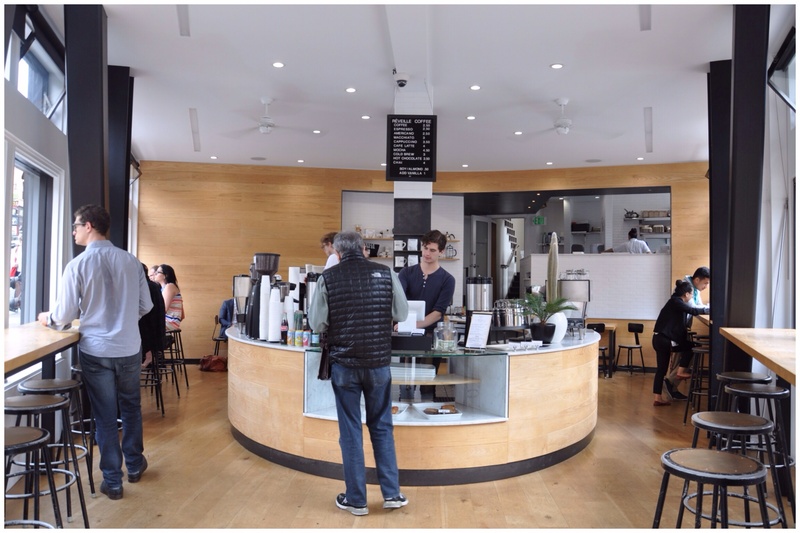 They had an impressive range of beans (Four Barrel) to choose from and the cold brew and espresso I tasted were lovely – I think any memories of freeze dried Nescafe were rapidly disappearing into the ether. They also sold some very delicious looking artisan Josey Baker bread (another thing I’ve learnt is that if you put the word ‘artisan’ in front of anything, you can increase the price by 20%) but Diane and I had already bought some wonderful fresh produce from the local farmer’s market and were waiting on a table at our chosen restaurant for brunch, so decided not to load up on carbs. 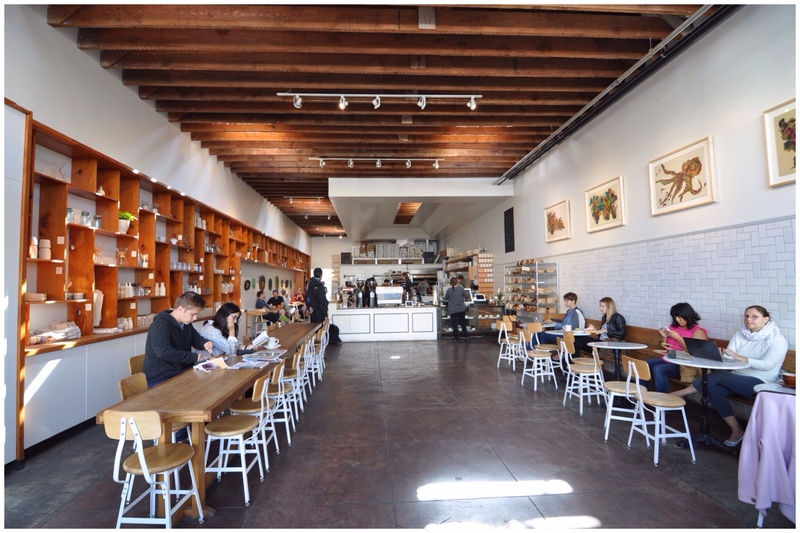 Our last real find was one of the many small coffee bars belonging to Blue Bottle Coffee, well known around San Francisco and seemingly served in most large coffee shops due to the multitude of ‘We serve Blue Bottle Coffee’ stickers adorning shop windows. However, we wanted to find one of the original shops so we could experience just what makes this brand so revered. This kiosk if found nestled a few streets just behind the Opera House (Hayes Valley), opened in a garage in 2005. The only way we knew it was the Blue Bottle Coffee shop was due to the long queue of people patiently waiting for their daily cup of coffee. We also patiently queued up and looked at their simple but classic menu of drinks, with both of us deciding upon a latte. I also spied some shiny, nut brown pretzels and other ‘artisan’ bread buns and ordered one, although myself and the barista must have had some communication problems and, in the end, I had to point awkwardly at the display to the stereotypical twisted pretzel shape, to which she exclaimed rather sardonically “They are all pretzels but I see…you want that one”. I think I made another rookie mistake but hey ho, I wanted the kind of pretzel I’d seen on the films goddammit! Apart from novelty shaped bread problems, the coffee was silky, mellow and extremely tasty – much better than anything that could come from a jar. In fact, we went back a few days after and I, trying to avoid the pretzel lady, got some great advice from a friendly male barista who helped me pick out some freshly roasted beans to take home as a present for a friend. 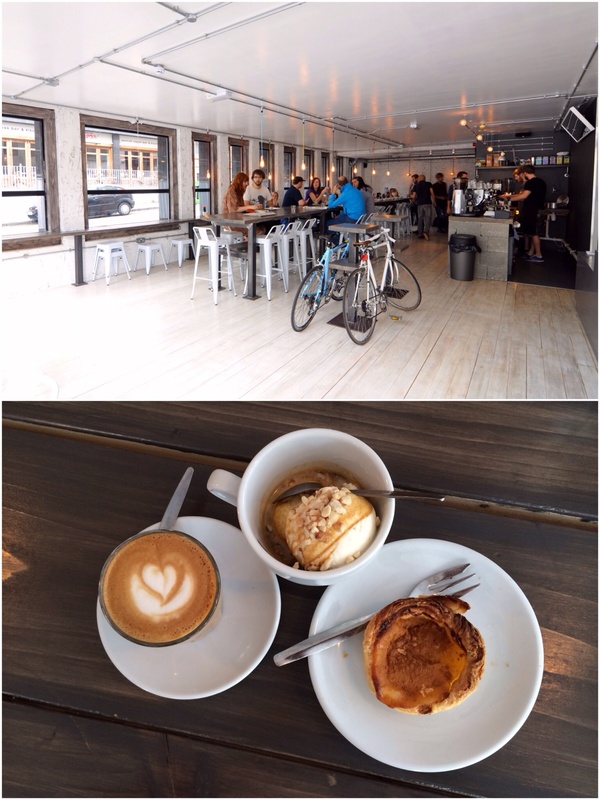 Out of all of the coffee shops I went to, Blue Bottle has to be my favourite. 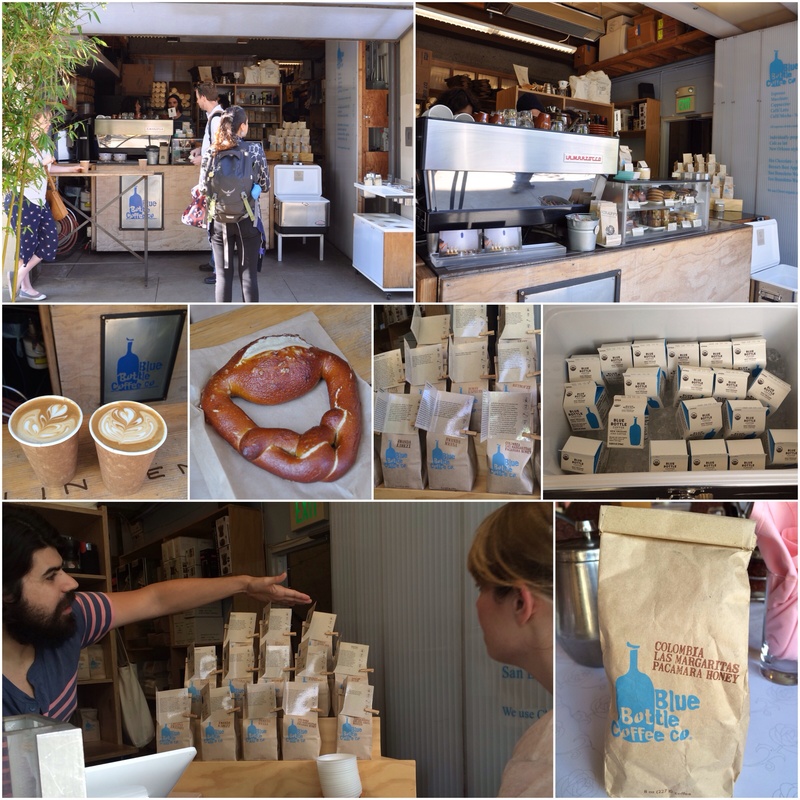 Maybe I’d got used to the culture and the taste, so Blue Bottle came to me when my taste buds were more refined. I think, however, it was more down to the very relaxed and non-pretentious set up of the shop. Yes, it was tiny, but it felt special and like a treat when you got your order. It tasted great and just gave an insight into the typically laid back San Franciscan attitude that we got to know and admire. It was simple, authentic and extremely reasonable in price and aside from my bread battle, that pretzel did taste great! All photos in this blog post were taken by Diane Amesbury. 1. 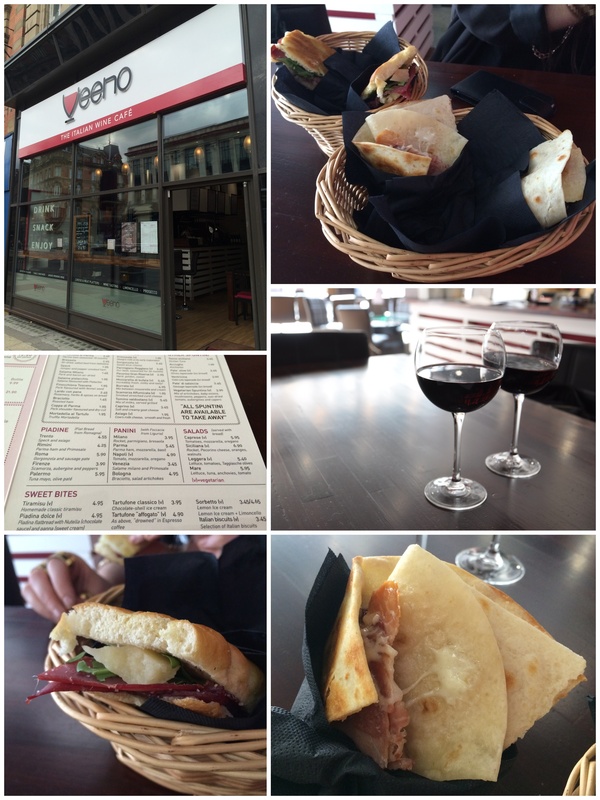 Veeno, new to Leeds, this Italian cafe bar opened a few weeks ago. Originally from Manchester, they’ve opened on Duncan Street and could easily be missed, we nearly walked straight passed ourselves, but were lured closer when a tray of tasters caught my eye! They have a cheeky lunch offering of a piadine or panini with a soft drink or glass of house wine, for just £4.90. Being in a wine bar, it would’ve been rude not to have a glass of wine with our food, choosing their house red. Served at room temperature it was full of fruit, whilst also being very quaffable. From the menu I picked the Rimini piadine, whilst my partner in crime chose the Milano panini, being a big bresaola fan. They took a little while to arrive to our table, but were served piping hot. My piadine made with a good Italian flat bread was filled with a salty Parma ham and Primosale cheese, an Italian sheep milk cheese which melted well. It was enjoyable, but did get very intense with the salty ham. Comments from the opposite side of the table were favourable – decent foccacia bread, a generous amount of well flavoured beef and a good slice of Parmigiano providing the seasoning. 2. Rolands on Call Lane. 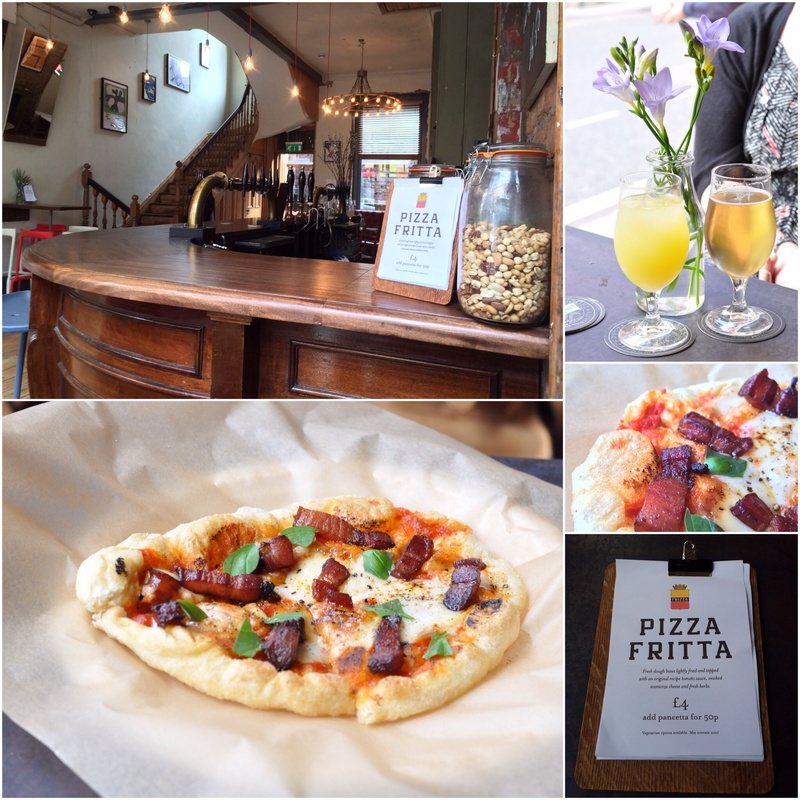 This bar opened a few months ago and recently introduced the Pizza Fritta to Leeds, something I’d seen in a Jamie Oliver cookbook, but not sold in Leeds I reckon. Have you seen or tried one before? Their Pizza Fritta are advertised as ‘fresh dough bases, lightly fried, topped with an original recipe tomato sauce, smoked scamorza cheese and fresh herbs’. Sounded great to me and with added pancetta, even better! Cooked to order, the base was crisp, not greasy as might be anticipated considering it is fried. The topping is kept uncomplicated, but has plenty of flavour and isn’t scrimped on. Aimed as a decent snack rather than a sizeable lunch, we really enjoyed it. Very tasty and moreish, I could’ve eaten another quite easily! A lunchtime snack and a leisurely drink (selected drinks) for £5, great on the pocket too! 3. Friends of Ham, anyone who’s anyone has heard of and loved this place, even non-meat eaters love it too. Don’t believe me? Have a read of Lisa Farrell’s review on her wonderful blog Where’s Lisa to find out for yourself. These guys brought out a lunch menu a few months ago, but this was my first chance to try it out. As well as their usual menu which has all their regular delights of meat, cheese and snacks, the lunch menu has a selection of dishes priced at £4.50 – £7, (bread – £1.50, side salad £2.50). I’d gone with a mate who’d happily admit he loves food and I think we got a bit giddy and overordered. Choosing a Best of British Meat Plate (£13), Jabugo bruschetta (£7) and Beetroot, goats cheese and watercress salad (£5.50), what do you reckon?! Both lunch menu dishes were delicious and had great quality produce on show. A crumbly, subtle cheese and earthy beetroot on one side then rich Jabugo Iberian ham on the other. The meat platter was generous in size, especially in combination with the other dishes. With three types of meat we had plenty to go at – smoked mutton, chilli & black pepper salami and Bath chaps. Flavour wise all were pretty tasty, but I preferred the chilli & black pepper salami out of the three, just because I like the spice and heat. All washed down with a couple of ciders, we were well and truly stuffed to the bursting! On this occasion we spent more than we should have, basically down to greediness, but isn’t hindsight such a wonderful thing?! 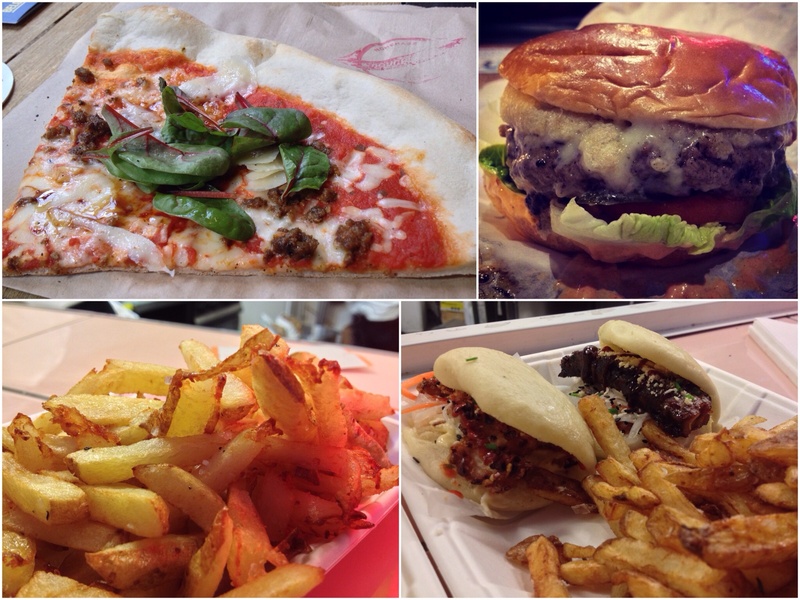 Have you got any good recommendations for a decent lunch, Leeds city centre or the suburbs? I’d love to know your thoughts.